LANSING, Mich. — State Sen. Ken Horn recently kicked off his first Hometown Tour of 2016 in Fenton at the Fenton Winery and Brewery (FWB). 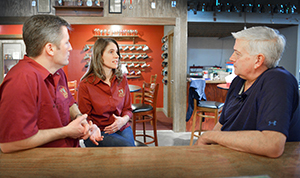 The senator spent the afternoon with owners Matt and Ginny Sherrow, learning the ins and outs of their operation and the Michigan brewing industry. FWB was founded as a winery in 2007 and added the brewery in 2009. Matt, an automotive engineer by trade, was inspired by the idea of entrepreneurship in graduate school and chose to pursue a new dream in brewing. Matt primarily handles the operational side of FWB, while his wife, Ginny, brings experience in small business, marketing and finance to the operation. Matt decided to forego the corporate world, and together, they decided to join the small business community. During the first stage of the process, grain is added to a large tub of hot water, where it will then “steep” in the water, extracting sugars from the grain. This process is known as “mashing.” Once the correct time has passed, the sugar water, known as wort, is then drained and transferred to the kettle where it will be boiled and cooled before continuing through the fermentation process. Once the wort is transferred to the kettle, only the mash remains. While the wort is boiling, hops and additional ingredients can be added to enrich the flavor of the beer. From there, the nearly finished product is then transferred into holding tanks called fermenters, where yeast is added and the fermentation process is completed. When the beer goes into the fermenter, it looks slightly cloudy. However, as the fermentation process continues, the yeast eats the sugar, creating alcohol and giving the beer a crisp, clear presentation. “What struck me the most was how consistent and routine everything was,” said Horn. “The brewing process is incredibly scientific and timing and consistency are paramount. Any small variable can throw an entire batch, which is several hours of work and a lot of money, out the window. “Stout Senator” will be available at FWB in mid-February. 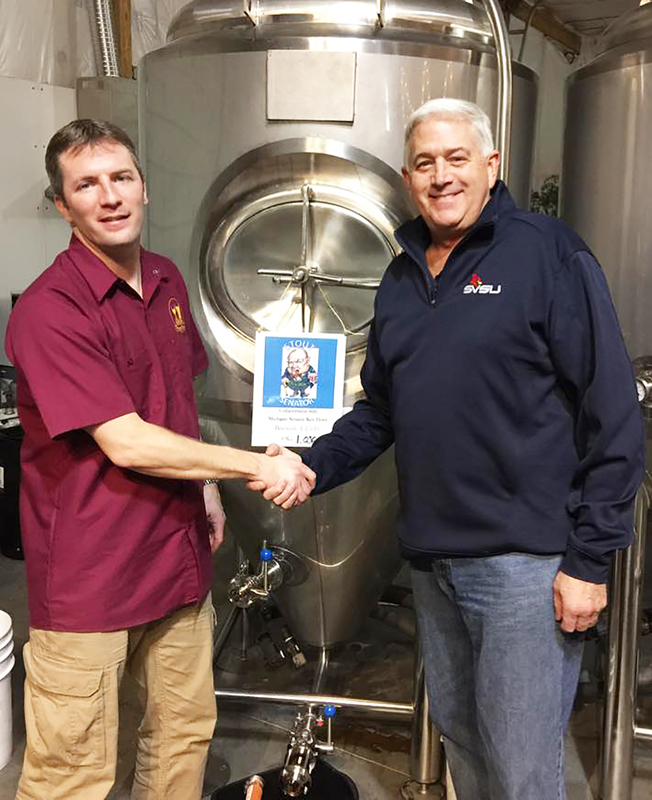 PHOTO 1 CAPTION: State Sen. Ken Horn, R-Frankenmuth, stands next to the fermenter with FWB owner Matt Sherrow as the “Stout Senator” moves into its final stage of the brewing process. 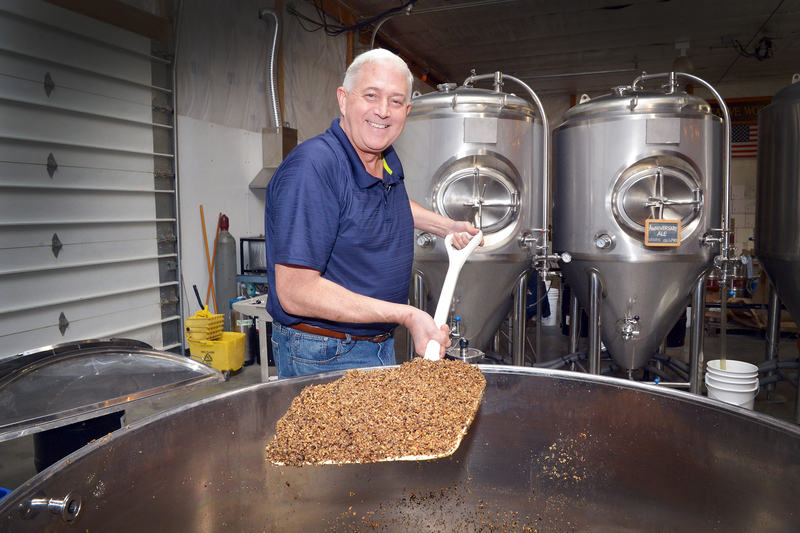 PHOTO 2 CAPTION: After draining the wort, state Sen. Ken Horn, R-Frankenmuth, unloads the remaining mash into bins, which are then collected by local poultry farmers who use the mash as feed. PHOTO 3 CAPTION: After the brewing was completed and everything had been cleaned up, state Sen. Ken Horn, R-Frankenmuth, sat down for a brief conversation with FWB owners Matt and Ginny Sherrow about their business and the community.